Your search for the best car rental service to book a taxi from Mumbai to Ahmedabad ends here. 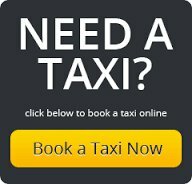 Booking a taxi with our online cab booking service is now very convenient. You can book a luxurious cab with us anytime. We offer a wide range of air conditioned vehicles including Indica, Innova, Indigo and luxury cabs depending on your group size and budget. CabMe (httpwww.cabme.in/) is tour & travel agency in India. You can book cabs, taxi in very cheapest fare for many cities. You can get sharing cabs, sharing taxi and cabs for airport also instantly. You can book online through our website, email us support@cabme.in or call at +91 9799488980.